Who else should follow in Tyler Breeze's footsteps and head back to developmental? If you haven't already heard, Tyler Breeze went back to NXT recently. Prince Pretty made a triumphant return to the brand on which he made his name to challenge North American Champion, Ricochet, for the title. Breeze proved to everyone in this match that he is a top quality wrestler, despite the abhorrent way he's been booked on the main roster, which asks an interesting question: which other wrestlers that have been screwed over on Raw and SmackDown could kill it back in NXT? The following ten acts have all come from NXT and have all been underappreciated on the main roster. You won't see any Finn Bálors or Samoa Joes on this list, as they've either won championships or been involved in high-profile matches, or people like Andrade "Cien" Almas, who have been on the main roster for less than a year. However, you will see promising NXT acts that have been squandered or buried. Please try not to cry. 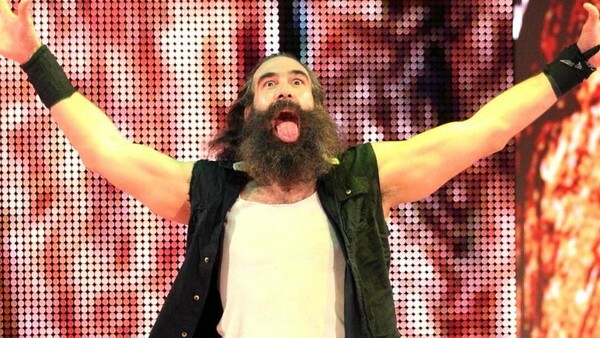 It might seem like a million years ago, but Luke Harper was once in NXT. In fact, he and current Bludgeon Brother tag team partner Erick Rowan were the second ever NXT Tag Team Champions. The aforementioned Rowan is currently out with an injury and has been since the night after SummerSlam. This has left Harper without anything to do, so why not send him back down to Florida? Harper has already appeared on a few NXT house shows, challenging Ricochet for his North American title, but until Rowan gets back, Harper could quite easily appear on the TV show on a semi-regular basis. Harper is a big man with incredible speed and agility and has enough main roster credibility to help put over some up-and-coming stars in NXT. Then, when it's time for Rowan to return to action, Harper could come back without a hint of ring rust. Harper has a great cult following that would go down a storm with the NXT fans. Combine this with a string of great matches and this could be a real renaissance for the former Wyatt Family member.